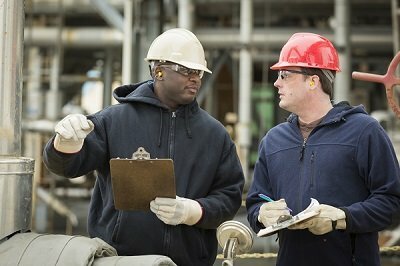 Behavior-based safety (BBS) programs have long been a critical part of the safety and health program toolbox. They highlight potential risks and hazards, encourage dialogue, and enforce a collaborative safety culture. Organizations often see, however, the efficacy of their programs diminish over time or fail altogether. In their diminished state, these programs can become a hazard in and of themselves, generating significant amounts of barely useful data and highlighting a broad disconnect between employees and management. Broadly, these failures fall into three categories: Strategic Design, Process Execution, and Follow-up. First, review the strategic design of the program. Often, organizations elect to use a BBS program because others have seen great success in doing so. They do not, however, have a clear goal or objective to the program. BBS programs can be designed in a variety of ways, and implementing it as an audit is quite different than using it as an employee engagement or demonstrated leadership program. The result of muddy intent is a muddy program that fails to achieve much of anything except completed scorecards and limited insight. Speaking of limited insight, the process design and execution is also a significant failure mode. Poor design of data collection makes insight extraction difficult or impossible. Focusing too heavily on identifying hazards can lead to a program that is viewed as an audit. Focusing too heavily on the peer-to-peer conversation can lead to a coaching program that fails to highlight any potential issues. Other process and execution failures include lack of consistency, lack of trust, and poorly communicated expectations. These process failures lead to the classic “bad info in, bad info out” and undermine the program quickly. Often, though, the program has the right intent and sufficient training and process structure to be executed faithfully and completely. That is not to say the program achieves its desired outcome, however. All too often, BBS programs struggle because the process fails to close the loop. There are long-overdue action items, little understanding of findings, and practically no celebration of success. This failure to follow-up produces a lack of perceived benefit by the participants and motivation wanes. Employees who do not see the outcomes of their observations simply put less effort in the next time around. It’s a slow and painful degradation of value that ultimately leads to program failure. So how does one achieve success in a BBS program? Generally, it comes down to ensuring transparency and consistency with respect to strategy, execution, and follow-through. Make sure everyone understands why you’re participating in an audit and what you hope to achieve. Show commitment to the program by making sure leadership is involved. Design your process with the end in mind, paying careful attention to the data you wish to collect and the types of interactions you wish employees to have. Finally, share the best observations so everyone knows what good looks like, report metrics, and share critical, life-saving items identified so that all can benefit from the findings as they come in. For more than 30 years, DuPont has been helping clients protect their people, facilities, and operations by implementing processes and systems that enable sustainable cultural improvements, developed through 200 years of DuPont safety and operational experience. DuPont Sustainable Solutions offers industry the most powerful suites of blended learning solutions — including instructor-led training, online training, and traditional media. With a comprehensive library of 7,000+ products covering six key content areas and available in 33 languages, we provide our worldwide clientele with compelling and site-specific training that helps meet their complex training needs. Visit www.training.dupont.com or call 877-262-7825.